Cathy McLeod will run again in the next federal election. 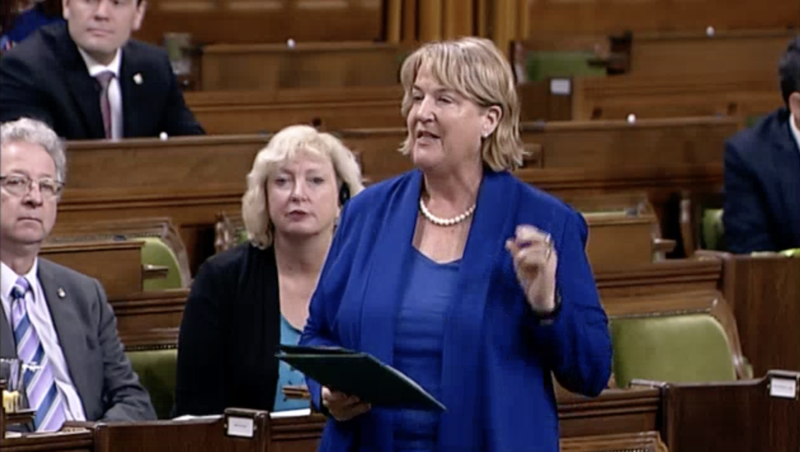 McLeod, the MP for Kamloops-Thompson-Cariboo, announced today (Oct. 12, 2018) she will be the Conservative candidate in next year’s election. She was first elected in 2008 and was re-elected in 2011 and 2015. “The 2019 election is right around the corner,” she said in a news release. “Many have asked me to continue my work representing our region and see unfinished business, like the job creating Trans Mountain project, reach the finish line and deliver for our communities,” said McLeod. McLeod said she looks forward to working alongside party Leader Andrew Scheer. I wonder what your answer is to the IGPCC ? ” Lets try to forget about global warming and build the carbon spewing oil pipeline ” ??? Catastrophy ???? what catastrophy ???? It will be tougher this time especially if the Peoples Party runs a candidate here and splits the vote. Ha Ha Ha Ha, how many people have asked you to run again ? I’ll bet not more than 5. Do Kamloops a favor, and just resign.